The Bird House is a community-based not for profit dedicated to providing compassionate, dignified end-of-life care by focusing on the physical, spiritual, and emotional needs of our guests and their loved ones in a peaceful, home-like environment. 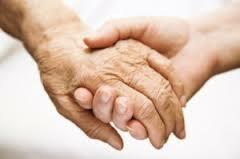 We partner with Caring Hands and More to hire our employees. Our starting wages for caregivers is $13. Employees who are full time (work 30 hours or more) also have health, dental, life insurance, and a pension program available. We have two 12 hour shifts: 7am-7pm and 7pm-7am. We are not requiring a CNA for employment, but will ask all employees to do special medication management training and other training for the agency and for The Bird House, Hospice Home of Johnson County orientation. ​On top of the application where it asks you to select office location, select Bird House or Hospice Home as your choice for employment. Contact Carol Tippe, Home Coordinator, The Bird House, Hospice Home of Johnson County, at 319-499-1882, thebirdhousehhjc@mediacombb.net.